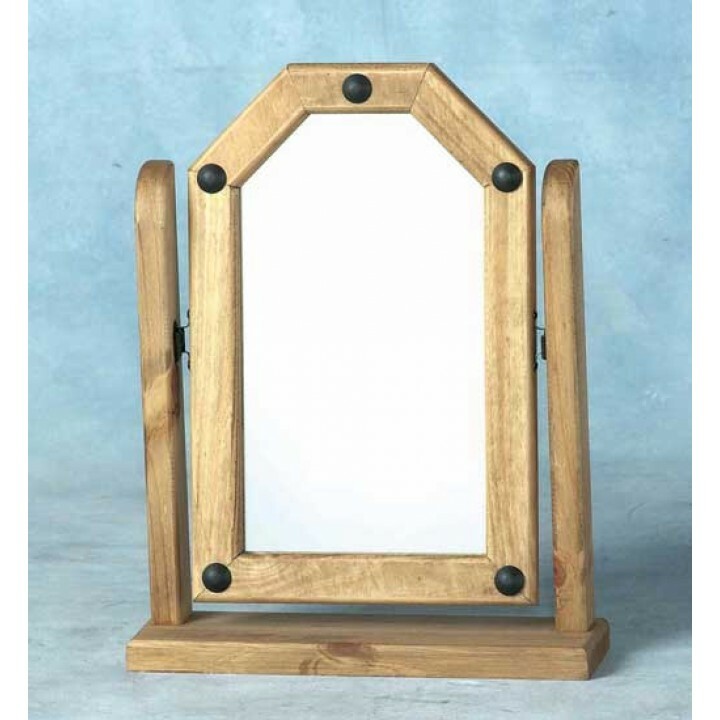 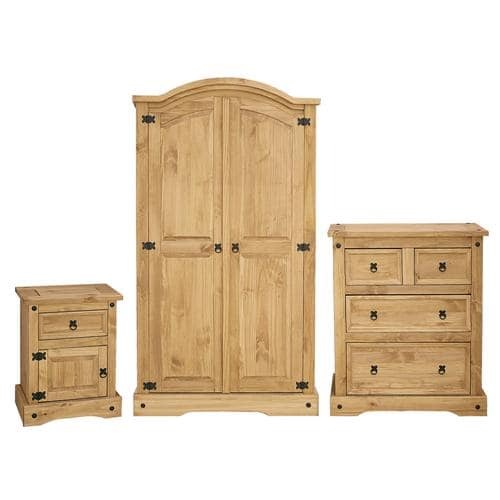 Give your bedroom a makeover with one of our most popular ranges. 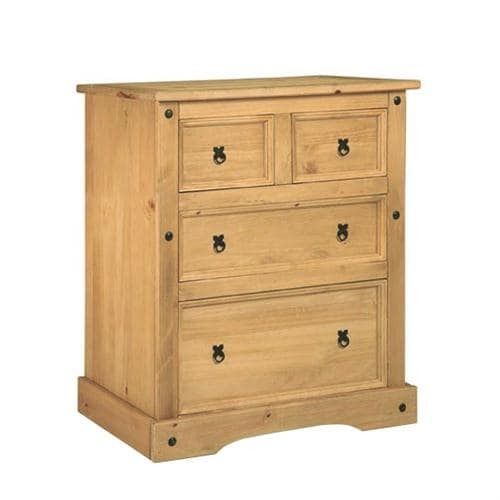 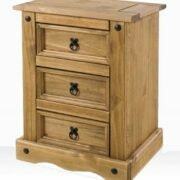 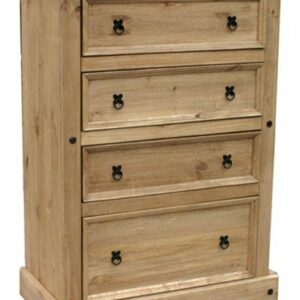 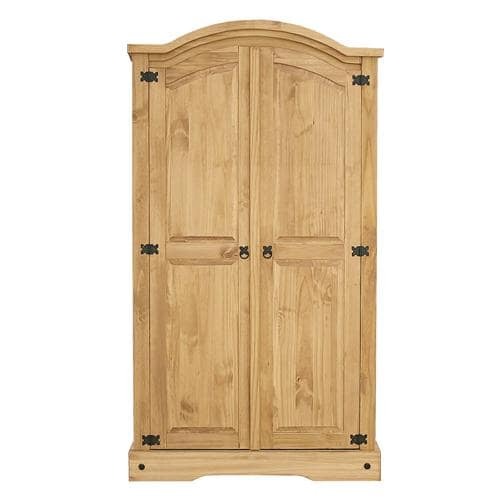 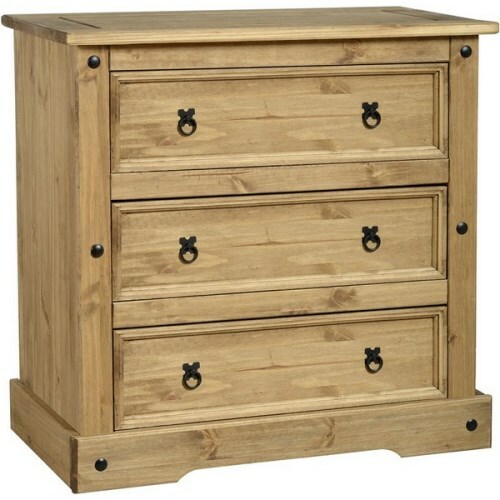 The Corona Pine Bedroom Set consists of an Arched Wardrobe, 2+2 Chest of Drawers and a Bedside Cabinet. 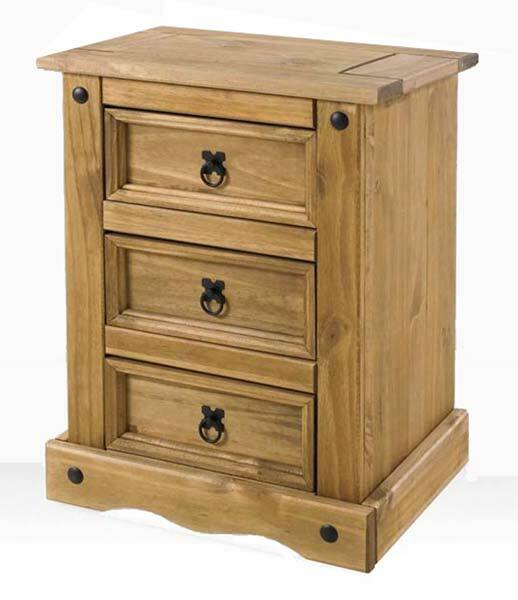 The Corona range is built to a high standard and comes with a waxed finish that lifts the grain of the wood creating that distressed rustic look. 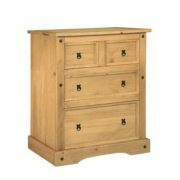 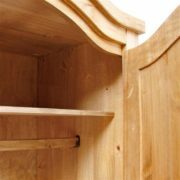 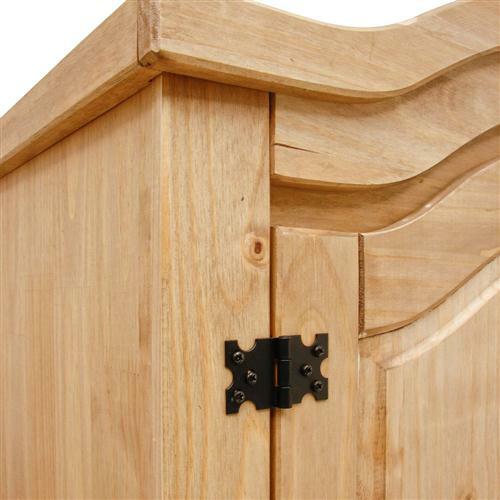 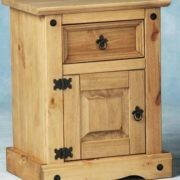 The drawers on the chest and bedside cabinet are on wooden drawer runners and have dowel pine drawer stops to prevent the drawers from being over extended. 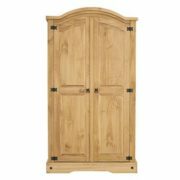 The wardrobe contains a wooden hanging rail with 126cm of hanging room for dresses and suits, with a shelf above at a height of 27cm. All products in this range come with black polished steel handles and comes as flat pack furniture for easy delivery. 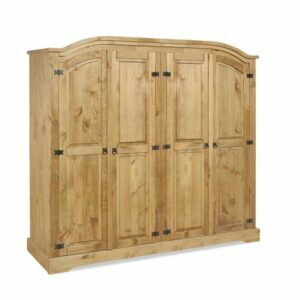 Explore the other products in the Corona mexican pine furniture range which includes, bedroom, Dining Room and Living Room Furniture.